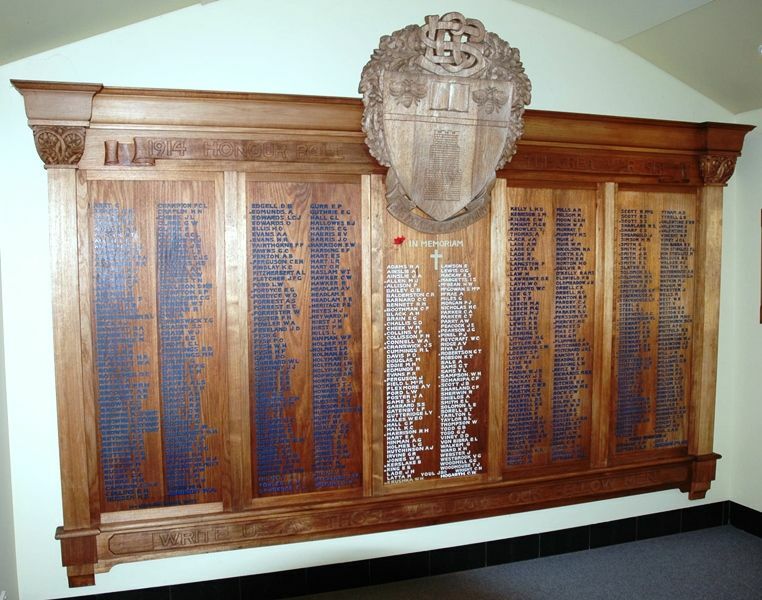 A large wooden honour roll commemorates the 512 old scholars who served in World War One. A service was held at the Launceston Church Grammar School on June 13 in connection with the dedication and unveiling of a Roll of Honour to the old boys of the school who had served the Empire during the Great War. After prayer and the singing of Kipling's "Recessional," the Mayor (Major Evans), in unveiling the Roll of Honour, said he regarded it as an honour to be present that afternoon to assist in a small way in paying a tribute to the men who had once been scholars at that institution, and who had responded to the call of Empire. The headmaster of the school was entitled to their most grateful thanks for providing the Roll of Honour board that it was his (the Mayor's) pleasure and privilege to unveil. The Mercury (Hobart) 14th June 1926.